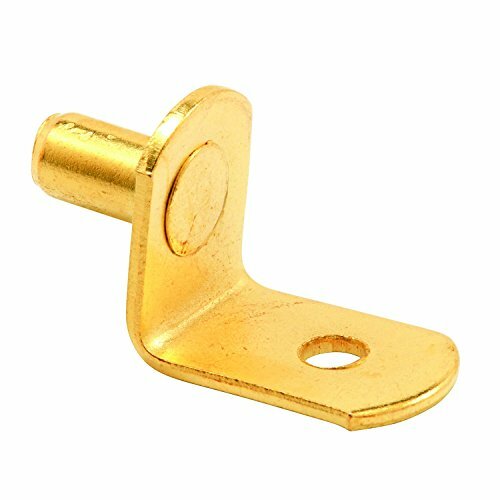 These shelf support pegs are constructed from steel and come plated in a brass plated finish. They are designed to fit into 1/4 in. diameter holes, for use in cabinets and bookshelves. These pegs feature a 20-pound maximum safe load capacity (per peg) and can be used for many applications. These shelf support pegs are easy to install and are used by many manufacturers.